This review is of the Little Passports Early Explorers, $17.95 a month, box. Ships to: US, Australia, Canada, Denmark, France, Germany, Hong Kong, Ireland, Israel, Japan, Netherlands, New Zealand, Singapore, South Korea, Sweden and UK. Find more international shipping info here! Check out all our Little Passport reviews and the Kids Subscription Box Directory! This month’s Little Passports Early Explorers package was devoted to the oceans around the world. My son loves working in the passport booklet! It’s filled with puzzles, connect the dots, matching activities and counting based on the theme. This is his favorite part of receiving the subscription each month. This month had a nice section on ocean animals for each letter of the alphabet and taught proper letter formation. We always welcome handwriting practice and work on fine motor skills! This package included some trading cards on a few different things you can find in the ocean: humpback whales, coral reefs and emperor penguins. One of the 4 cards shows the category (oceans) and then there were 3 other cards. I always wish they included a few more. Max and Mia mail a postcard each month showing a place they have visited around the world. This month they were scuba diving over the Great Barrier Reef. My son thought this was really cool. Little Passports Early Explorers always sends along a little extra toy or craft each month. This month they sent a wooden fishing game. Unlike other fishing games we have owned that are magnetic, this one is much trickier and therefore fun for an older child. The ocean animals need to be placed upright and each one has a circular cut out at the top. You need to dangle the fishing pole with the sphere right into the cutout and then lift it up. This was challenging and we both had fun playing. Each package contains a cardboard flashlight that you pop out and slide between a transparent sheet and cardboard backing. As you slip the flashlight around it highlights different ocean animals that Max and Mia want to show you. My son looks forward to the flashlight activity each month. The first month of Little Passports Early Explorers came with a suitcase. Every month thereafter they include a luggage tag to hang on the suitcase handle, a sticker to add to decorate the suitcase and a few assorted stickers based on the theme which are placed on a world map (also included in the very first shipment). Verdict: We enjoyed our Little Passports Early Explorers package once again. The ocean theme was interesting and we loved the fishing game. I find this subscription to be both fun and educational at a great price point. I’m very happy! What do you think of Little Passports Early Explorers? How do subscribers rate Little Passports: Early Explorers? Do you subscribe to Little Passports: Early Explorers? Add your rating now! "I totally agree Kimberly! New brands would be nice!" 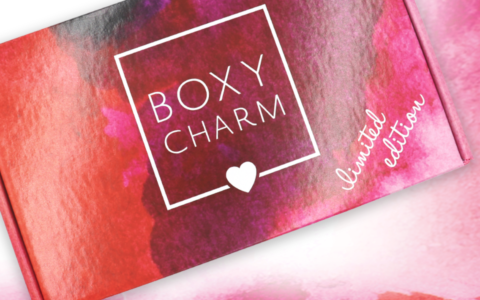 BoxyLuxe June 2019 Spoiler #2! "Ya I agree, I’m not a fan of Saturday Skin.. I’m doubtful it even takes the dead skin off, just feels like balls..."